The Robertson Trust was established in 1961 by the Robertson sisters Elspeth, Agnes and Ethel who donated the shares in their businesses, founded and developed by their grandfather and father, to the Trust for charitable purposes. The Robertson Trust was established in 1961 by the Robertson sisters Elspeth, Agnes and Ethel, who donated their shares in the family businesses, built up by their grandfather and father, to the Trust for charitable purposes. companies and owner of several well-known whisky brands. The sisters’ generosity enables the Trust to use the dividends from its controlling shareholding in Edrington for the benefit of Scotland’s people and communities. I want everyone to feel special and valued and they will see what they can aspire to. Wish to find out more about our history? 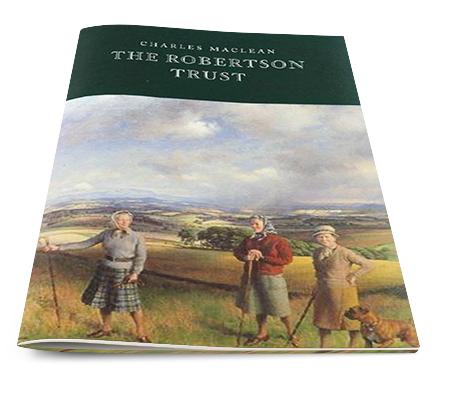 Read Charles MacLean's history of The Robertson Trust here.